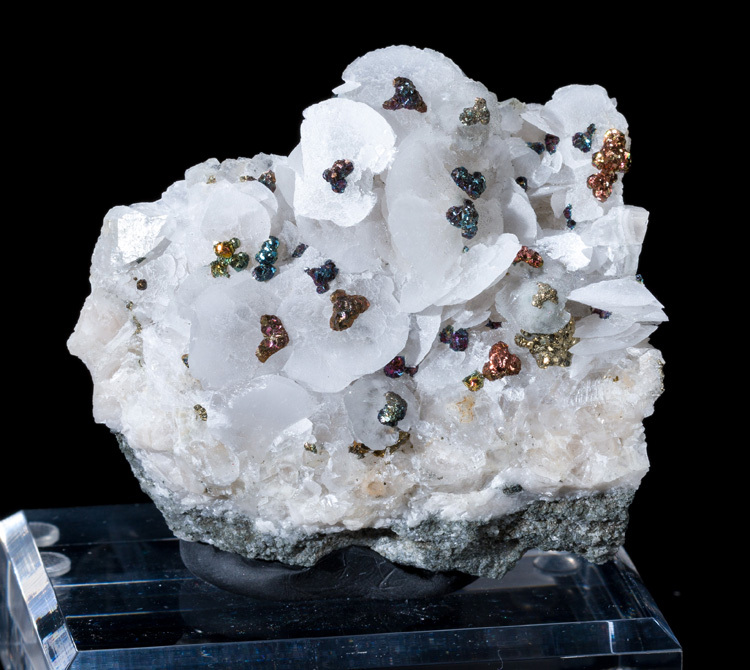 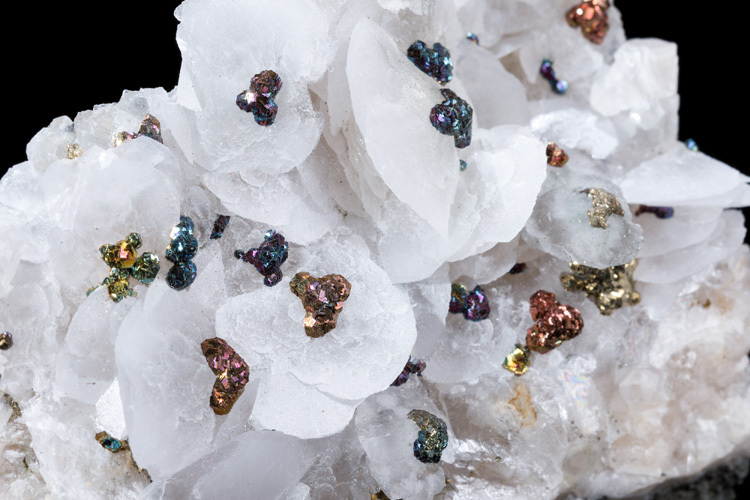 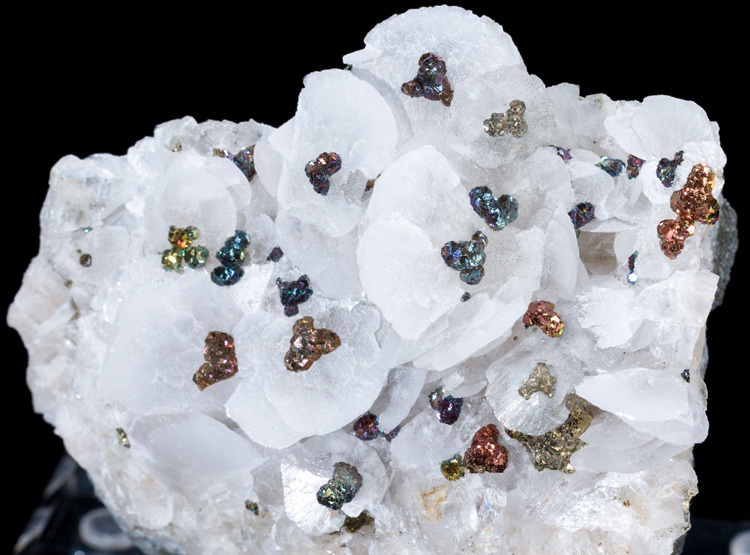 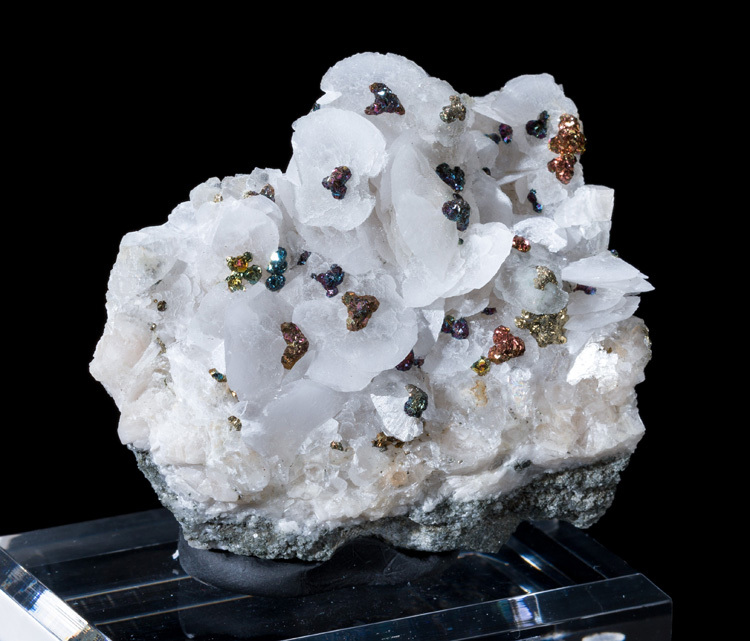 Crazy rainbow iridescent pyrite is perfectly centered in the middle of each calcite disk. 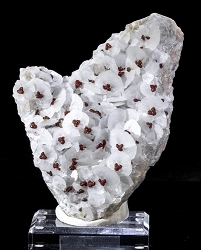 We've sold several of these in the past, but this one is easily the winner in terms of color. 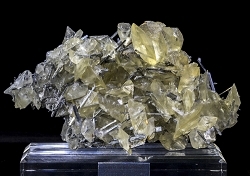 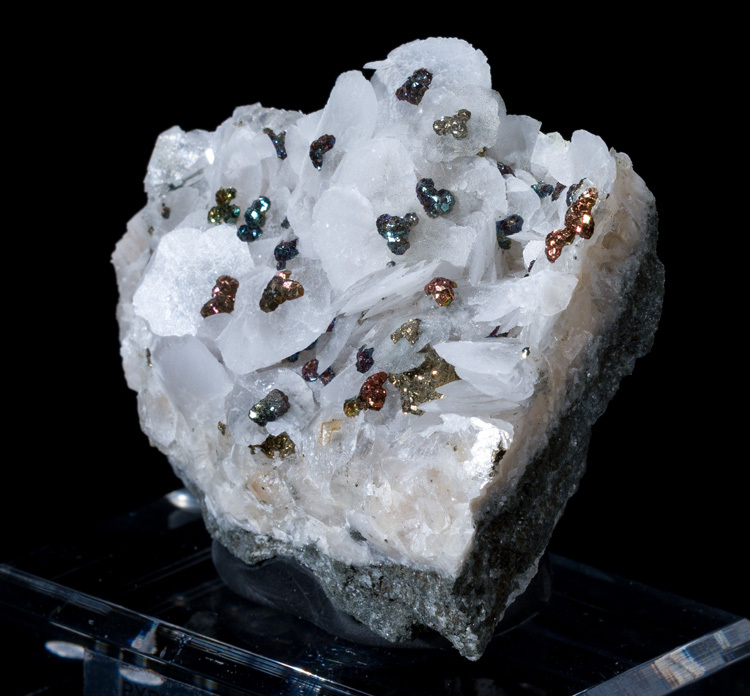 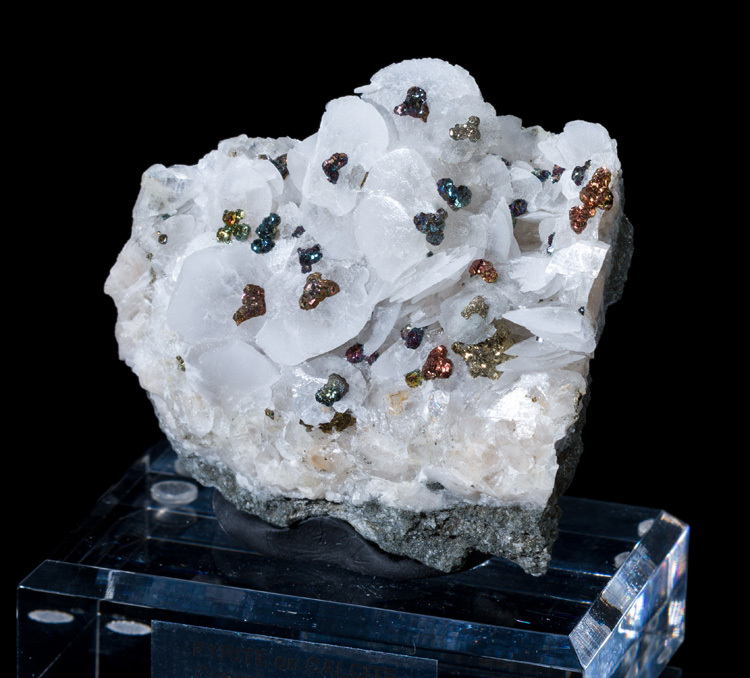 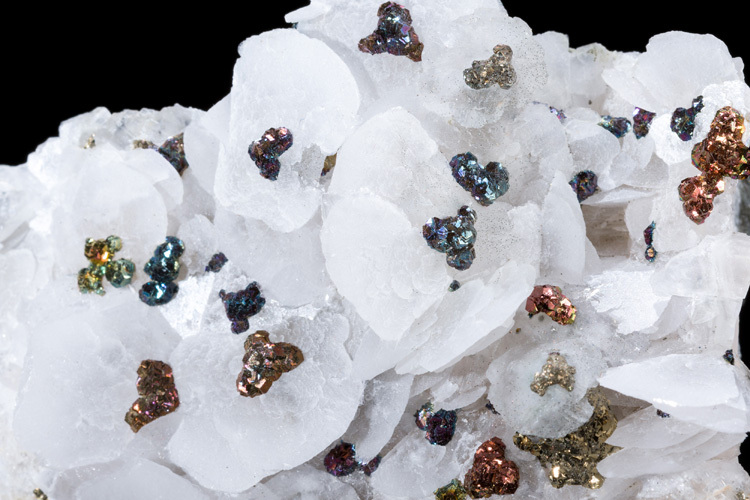 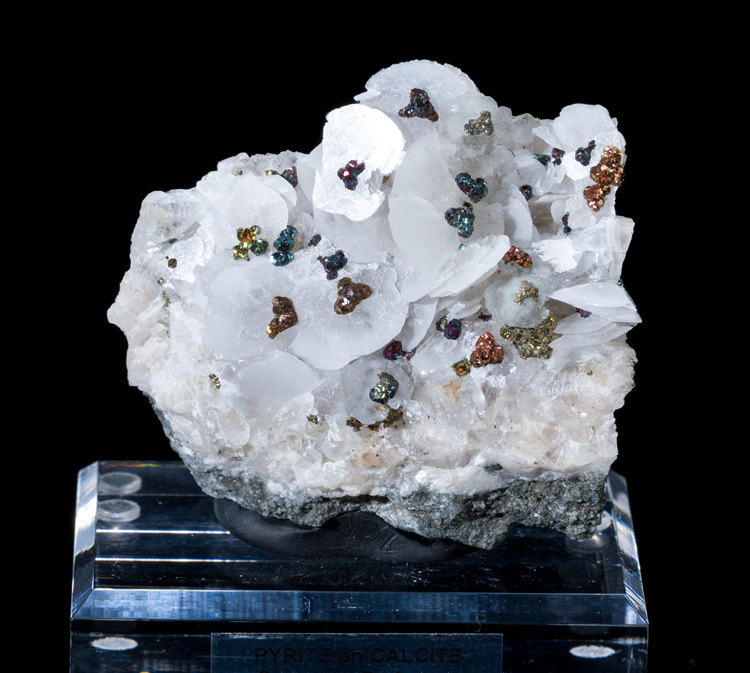 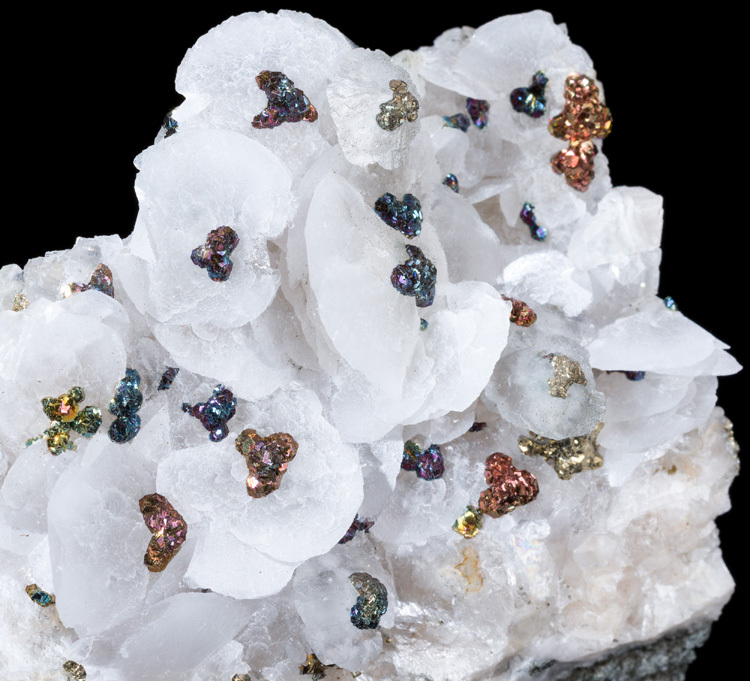 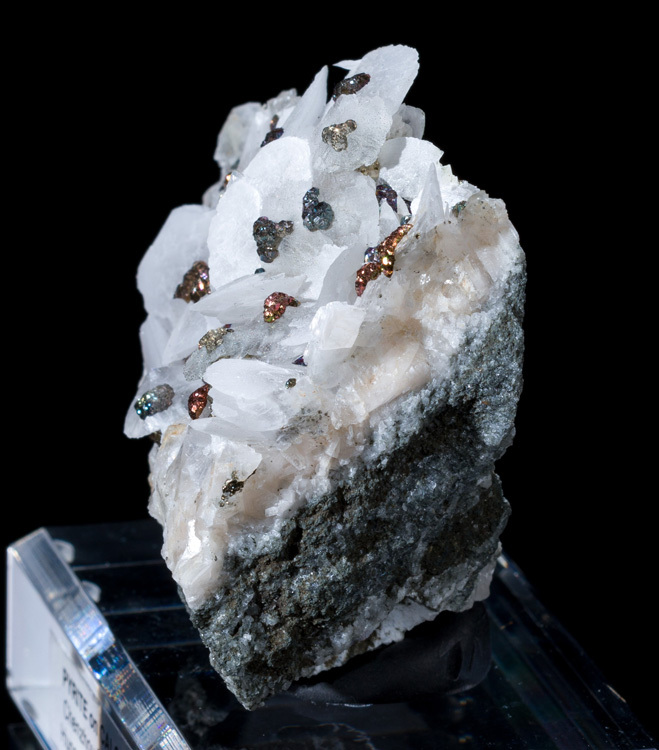 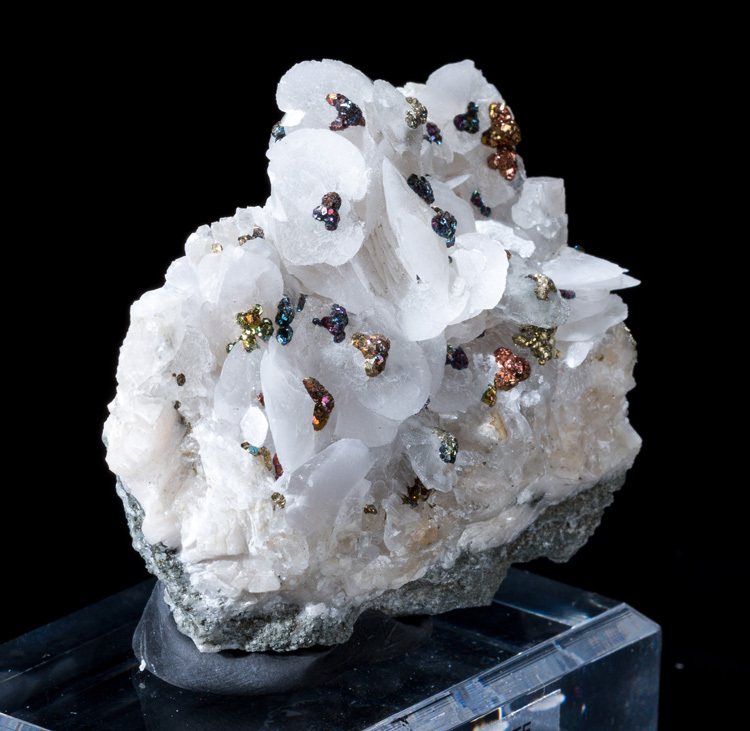 Some pyrite crystals look red, yellow, blue, purple, and green.